GLOBAL AQUACULTURE PRODUCTION 2013 source FAO. The production of farmed food fish (finfish, crustaceans, molluscs and other aquatic animals) was 70.2 million tonnes in 2013, up by 5.6 percent from 66.5 million tonnes in 2012. The production of 27 million tonnes of farmed aquatic plants was a 13.4 percent jump on the 23.8 million tonnes of 2012. • The contribution of aquaculture to the world total fish production reached 43.1 percent, up from 42.1 percent in 2012. It was only 30.6 percent a decade ago in 2003. Meanwhile, world production of aquatic plants, mostly seaweeds, is still overwhelmingly dominated by aquaculture (95.5 percent in 2013). 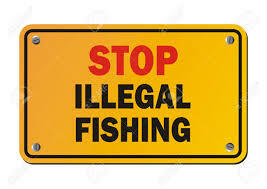 • On a global scale, the production of major non-fed species contributed 30.7 percent to world food fish aquaculture production in 2013, including 13.9 million tonnes of bivalves and 7.7 million tonnes of filter-feeding carps. The great potential of marine bivalve aquaculture in most maritime countries in Africa and Central America remains untapped. • Following Asia, Africa improved its share in world farmed food fish production, up from 1.3 percent in 2003 to 2.3 percent in 2013. The shares of the Americas and Europe declined gradually to all-time lows of 4.4 and 4 percent, respectively, in 2013. Oceania has held steady at 0.3 percent since 2001. The overall situation of highly imbalanced aquaculture development status and uneven distribution of production remains largely unchanged. • Globally, inland finfish aquaculture has been the most important driver for total increase in annual output. This subsector contributed 64.9 percent to the 2003–2013 increase in world farmed food fish production.